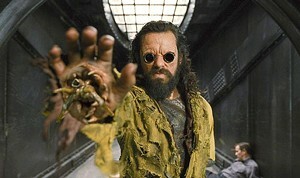 COMIN’ AT YA Jemaine Clement explores the possibilities of 3-D in the third amiably goofball alien saga. The difference between Griffin and many veteran moviegoers is that he’s still childishly excited about it all. When Amblin Entertainment and director Barry Sonnenfeld made this belated third entry in the MiB sci-fi action-comedy franchise, that’s exactly the nonjaded reaction they hoped to elicit from the American public. They knew this particular “timeline” wouldn’t offer much we hadn’t seen before. But, to their credit, they still managed to make the experience fairly enjoyable. Men in Black III returns to character-based comedy from the gimmicky excesses of the 2002 installment. Will Smith and Tommy Lee Jones are back as Agents J and K, respectively, who police New York’s illegal aliens — the kind with tentacles. 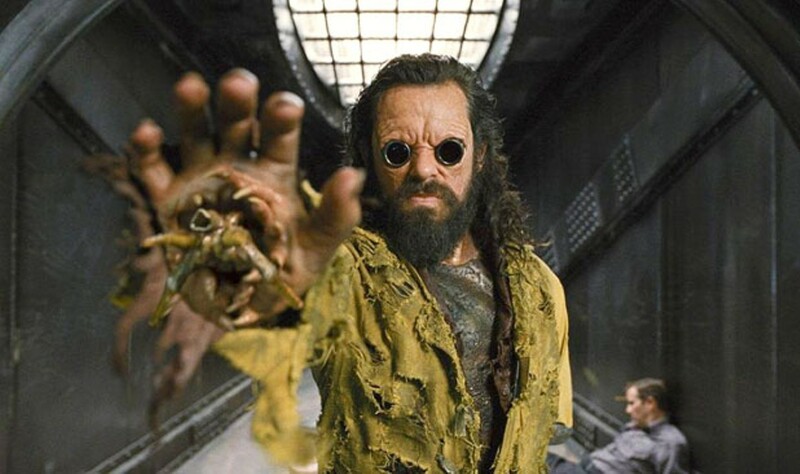 Jemaine Clement, of “The Flight of the Conchords,” sinks yellow teeth into the role of extraterrestrial villain Boris the Animal (“Just Boris!” he growls irascibly), who uses time travel to bump off K in 1969 and rewrite history. To resurrect his partner — and, yes, save the Earth — J takes a jaunt back to the past, where he finds the younger K (Josh Brolin) James-Bonding it up on Barbarella-style sets. This is just as silly as it sounds, but the comic chemistry goes a long way. As always, Jones is the laconic foil to Smith’s motormouth, and Brolin pulls off such an uncanny, gimlet-eyed impersonation that he sometimes gets laughs just by staring. While you’re unlikely to find your new “favorite moment in the universe” in MiB III, there are worse ways to enjoy industrial-strength air conditioning. Then again, you could go for something less familiar. How about a darkly comic thriller where the hapless hero (Aksel Hennie) is so desperate to escape from a special-ops-trained sociopath that he leaps headfirst into an outhouse toilet? Morten Tyldum’s film Headhunters — starting Friday at the Savoy Theater — was a hit in its native Norway. It’s easy to see why: Based on a popular mystery novel, it plays like a stylistic hybrid of Stieg Larsson, the Coen brothers and Quentin Tarantino. Hennie is Roger Brown, a diminutive, Napoleon-complex-afflicted businessman who seeks to secure the affections of his supermodel-esque wife (Synnøve Macody Lund) by supplementing his income with art theft. But Roger pushes his luck when he pinches a Rubens from Nikolaj Coster-Waldau (of “Game of Thrones”), a sleekly sinister alpha male with amorous designs on his beloved. Soon he’s in trouble that involves the copious spillage of blood and other bodily fluids. Not all the ensuing mayhem is logical (I dare anyone to make sense of the villain’s convoluted plan), but it’s still a colorful, breakneck ride. An American remake is already in the works, possibly with Mark Wahlberg in the lead. Do yourself a favor and see it with the deliciously weaselly Hennie instead.